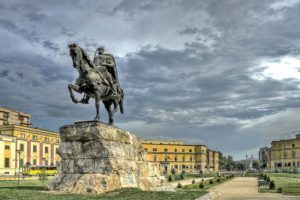 The government of Albania has ordered the relocation of all casinos and sports betting shops out of residential areas and to city outskirts in an effort to stop the proliferation of gambling in one of Europe’s poorest countries, the Associated Press reports. Albanian Prime Minister Edi Rama said today that all casinos and betting shops taking wagers on different sports and animal races will have to be shuttered and moved to city outskirts by the end of the year. Those failing to comply with the order will be punished, it also became clear. The top official further pointed out earlier today that while the number of casinos has dropped to 20 in 2018 from 40 in 2013, tax revenue has increased to around €47 million from €32 million five years ago, indicating a thriving gambling industry. The new set of rules concerning the way gambling services are provided in the country also include restrictions on advertising. Advertising activities that are breaching law will be “closed by force”, Prime Minister Rama said today. As mentioned earlier, Albania is one of the poorest countries on the continent. However, its gambling industry has enjoyed quite some growth over the past several years. Albanian gamblers can wager money on different types of activities, including online casino games and sports betting and services provided at land-based properties. According to information from local media outlets, the record amount of around €132 million was wagered by Albanian gambling customers over the past year, up 10% year-on-year. Albanian President Ilir Meta vetoed earlier this year a bill that aimed to implement significantly lower taxes on the provision of gambling services in the country. The piece had previously been given the nod by the ruling Socialist Party, but did not gain support from the President. Under the country’s current tax regime, companies licensed to to operate in Albania are required to pay 15% on their annual turnover. The vetoed bill called for operators to be required to annually contribute 15% on their gross earnings, that is the amount remaining after the payout of winnings to gamblers. 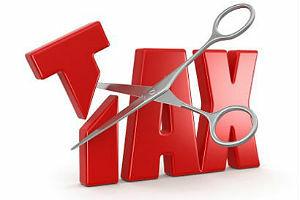 The use of gross earnings as a taxation basis provides for a significant reduction in the taxes paid by companies. Despite the President’s veto, the proposed changes in the country’s gambling tax regime were eventually passed by the Albanian Council of Ministers. The new rate will take effect from January 1, 2019 and will apply to all categories of gambling. The new gambling tax came as part of a larger taxation reform introduced by Albanian lawmakers this year.